How to learn to be kind to yourself, it is easier than you think. Schedule in me time daily is what you hear, along with making time for self-care and learn to be kind to yourself. Kindness is so easy to give to others. There is always time to help others and little time for self. In fact, self-compassion is low on the daily to do list. You know just as I know, that in order to look after others you need to look after yourself. So why is it so hard to learn to be kind to yourself, why is it so difficult to have self-compassion? How to learn to be kind to yourself is easier than you think. 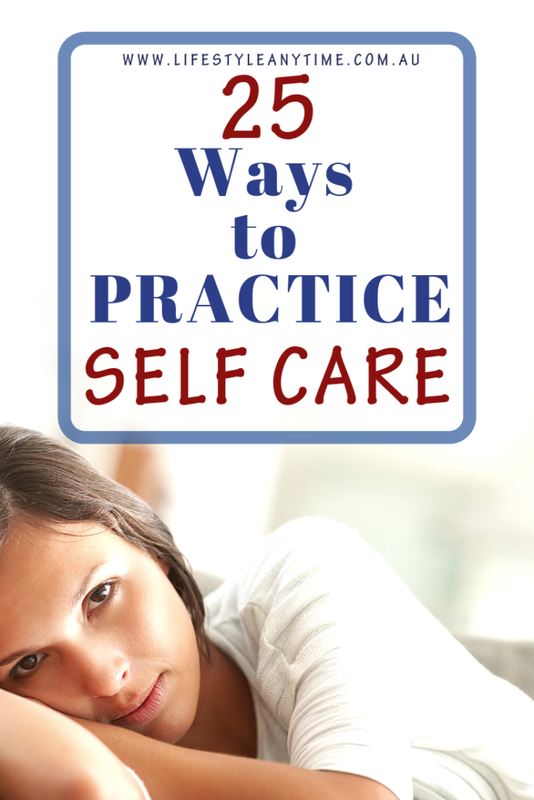 Before I share the 25 ways how to be kind to yourself lets answer a few questions. Is life too busy for you to learn how to be kind to yourself? Life is very busy. There are only 24 hours in a day so sometimes given in to yourself is ok, or is it? The busyness of each day can lead to actions that do not resonate with being kind to yourself. Eating unhealthy. All too often it is quicker and easier to eat take away or go through a drive-through. Negative talk. Listening to your own negative talk can stop you from being kind to yourself. To be kind to yourself learn to talk back to your self-doubt, your negative talk. Taking action towards your goals. Every day something can distract you from taking action towards your goals. Your goals have meaning to you. The busyness of the day is not the excuse that stops you taking action on your goals, rather it is a lack of scheduled me time that results in no action. Taking on too much. Saying yes when you should say no. To have a balanced life you need to show yourself compassion and schedule me time daily. A little me time daily goes a long way. I haven’t always loved myself and often still fight with loving myself. 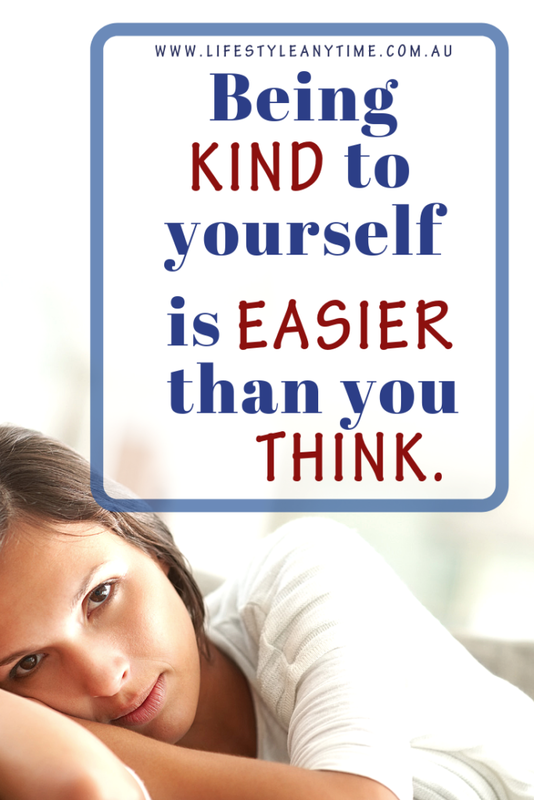 Today I am kind to myself but with being kind to myself, there are many things I wish I had done differently. I bear scars mentally, physically and emotionally from letting myself go, from not having self-compassion. The results of not being kind to myself have had consequences including unhealthy weight which in itself results to sore joints, emotional stress and not fulfilling my goals or not being able to participate in activities I’ve wanted to do with the family. Now I schedule me time daily. This was not always so, most of my life I have been there for others more than myself. Each day I learn to be kinder to myself and I understand that it is Ok to be selflessly selfish. In fact, it is best to be selflessly selfish. Why it is so important to be kind to yourself? In order to look after others, you need to look after yourself, mentally and physically. If you are healthy mentally and physically the task of looking after others is easier. Additionally, when you learn to be kind to yourself you will discover that you have the energy to do so much more because taking time to be kind to yourself is a multiplier of time. It reenergizes. The new energy is channelled into other areas of your life. To show kindness to yourself reduces stress levels, reduces overthinking and helps you sleep better. I find that my stress levels reduce when I go out for a walk and enjoy the nature. I do this daily. When I first started walking daily It was therapeutic, a way to transition between the stress of work and home life. I now walk as I enjoy the calmness I feel as I tune in to the present moment while I walk or sit at one of the beautiful spots near my home on the Central Coast, NSW, Australia. Sounds blissful, doesn’t it? This self-care stuff but how can you make time for self-care, when there is so much to do each day. Ways to find time to be kind to yourself. Schedule me time by planning it in your diary. Get up 30 minutes earlier each day. Establish a routine, a work and lifestyle routine that enables you to get things done each day. Hence, without a routine, it is so easy to get distracted and procrastinate. Delegate things out to family members or hire someone to do your ironing or cleaning because you need time for you, time to be kind to yourself. I know as mothers we tend to want to do everything ourselves but you don’t need to do everything yourself. Learn to let go and delegate things out to others. Unplug from your social media. Turn off notification, turn off the phone, stop scrolling through your social media applications and unplug. When you unplug you are less likely to be distracted unnecessarily. 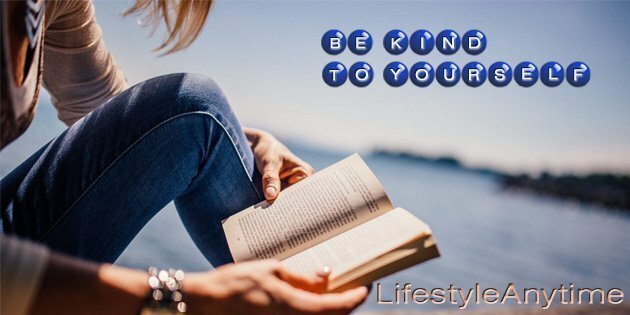 How to learn to be kind to yourself? Choose me time activities that you enjoy and learn to be kind to yourself daily. Each day can be a different me time activity. Go for a walk. Walk in nature, walk to work. There are multiple benefits to walking. It is peaceful and gives you time with your thoughts. Time with your thoughts can be very productive. Practice gratitude. Look around you each day and write in a gratitude journal 3 things you are grateful for. Furthermore, learn to find something in yourself that you are grateful for too. Your smile, your laugh, your compassion, write this in your gratitude diary too. Meditation. Meditation has many benefits, it is known to reduce stress, improve concentration, increase happiness and improve health. Be aware of self-talk. Push the small person away, if you were walking every day with someone following you telling you ‘you look … ugly, fat… how long before you say bug off. Be aware of your self-talk. Sleep. It is important to sleep. When you work for yourself so often you work in your sleep, you stress or focus on things that stop you getting to sleep. Meditation can help you switch off from your work so you can get the all important sleep you need that will enable you to wake up refreshed for a new day. Drink water. Rehydrate the body with water. Drinking about 8 cups a day is good. What is also great is to drink water on waking to rehydrate your body. Eat healthily. This goes without saying. When you eat healthily you provide your body with the nutrients that energise you. Unplug from your business. Take time to enjoy life away from your business. After all, you started a business to create a life for yourself. Switch off from your business during your holidays, on your days off, when it is family time. Turn off notifications on your social media and participate in life. Have ME time. There is so much you could do to invest in yourself, read, have a bath, go for a walk, relax and do nothing. Just chill. Spend time with a friend. Meet a friend for a coffee or go for a walk together. Spend time having fun at an activity you both enjoy. Dance. Do you like to dance? Put on your favourite music and dance. Share success. Sharing your success is a way of celebrating your wins as well as giving hope to others. Celebrate and share, you deserve it. Mindful colouring. Colouring may seem like something for children but mindful colouring is one of the new ways to relax is and de-stress. Forgive yourself. Empathise with yourself, accept what has happened in the past. Learn to let go, learn to forgive yourself and others. Understand that we all make mistakes. Consequently, when you forgive yourself and others you progress forward. Say No. Say NO to always helping when you need time for YOU. Stop saying yes when really you should say no. Chat with a friend. Pick up the phone and chat with a friend. Try something new. Look at your goal list, take action toward one of your goals by trying something new. If you are looking at getting fit and healthy, try a new recipe, it may seem like a small thing but this step of trying something new, a recipe is one step closer towards doing something for yourself. Do yoga. Yoga for the mind and body can be practised in only a few minutes a day or part of a fitness program. Support Groups. There are many support groups and masterminds both online and offline. This blog idea has come about from a mastermind group I was listening to. Normally I like to be live in the masterminds, however when I can’t I do listen to the replay and find that there are many ‘golden nuggets’ that help with challenges I am facing. Accept praise. Receiving is not always easy. You show kindness to yourself when you accept a compliment. Like your successes, you deserve the praise. Draw on your successes and your compliments to help you in times of need. Slow down. Yes, yes, yes, slow down to enjoy life. Live in the moment and do not stress to be everywhere at once, or do everything at once. Slow down and embrace life’s journey. Delegate. There are some tasks that you need to delegate. There are things in life that you need to delegate. To have time for you so you can be kind to yourself you need to delegate things out. Children can make their own beds. Families can take a turn to cook meals. You can delegate the ironing, the cleaning and even some business tasks. I used to feel guilty sitting in the hammock reading as my husband or one of the kids was cooking dinner. To combat this guilt I gave everyone a cooking day. I no longer feel guilty when I’m relaxing as dinner is cooking and I don’t feel angry at the family as they relax while I cook. We often cook together but there are days I love to cook alone and put on music to dance to at the same time. Tell yourself that you are enough. Say ‘I am enough’. 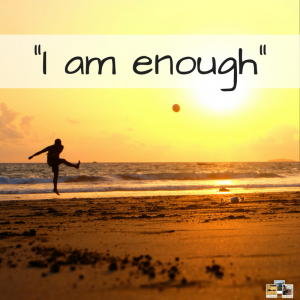 Affirmations reinforce your worthiness and enable you to replace your negative self-talk with a positive belief. What is the best way to learn to be kind to yourself? The best way to learn to be kind to yourself is to show yourself some compassion. Think of a friend, think, how you would talk to them? also, how would you treat them? and how would you reassure them? Furthermore, what advice would you tell them? Is this how you treat yourself? Be your own best friend. Not only be your own best friend but learn to be kind to yourself. Learn to love yourself. It can feel strange or even awkward when you learn to love yourself, it takes practice. The more you learn to be kind to yourself the more you love yourself and accept yourself. Share in comments other ways you are kind to yourself. 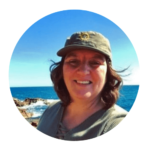 Angie blogs about goals, productivity, blogging and social media marketing, as well as living abroad. She started blogging while learning the skills to start an online business. Her mission is to help others succeed with social media and blogging as well as live a laptop lifestyle while travelling in Australia. Angie often shares tips and tricks while walking the beaches and near the lake on the Central Coast NSW Australia. Subscribe to Lifestyle Anytime for goal setting tips and tips on mastering skills for a more work balanced life. I live on the beautiful Central Coast NSW Australia with my husband and adult children. Australia is not where I or my husband grew up. It is where we choose to currently live and work. As you would know there are so many choices in life. Where to live and bring up a family is just one of them. Living with work life balance is another and one thing I believe is that living with purpose and creating a more balanced lifestyle is possible. It was due to a desire to step away from the overwhelm and stress of my past job that I started designing my life my way. As I share my journey with you, my hope is to inspire and encourage you to live and maintain a more balanced and fulfilling life too. This post may contain affiliate links. This means we may receive a small commision from the companies or products mentioned in this post at no additional cost to you. Please read the disclaimer for more information. All information in Lifestyle Anytimes blog posts is our perspectives and learnings in life.